AMERICA’S NEXT GREAT RESTAURANT: Bobby Flay On A Winning Investment! America will soon get the chance to experience the unique taste of a fast-casual restaurant co-owned by four world-famous foodies and an everyday entrepreneur with the opening of three restaurants by the team when the winner is announced this Sunday on “America’s Next Great Restaurant”. 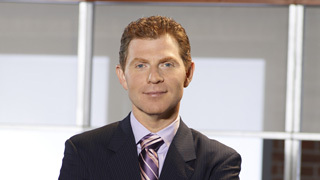 In a recent interview, one of the four investors, Bobby Flay stated that he was drawn to the NBC show because he had never been involved in anyone else’s restaurant and thought “it would be a great opportunity to mentor someone”. Last week’s elimination marked the end of the food reality show journey for attorney Stephenie Park whose food idea was healthy Mediterranean cuisine called “Harvest Sol”. Her front counter staff lacked the knowledge of her food which, along with Park’s weak confidence under-impressed the investors – Curtis Stone, Bobby Flay, Steve Ells, and Lorena Garcia. Flay says that what he is looking for in the winner of these restaurants is not only a great concept, but someone who is “passionate about what they are doing… they’re going to give 1000%”. Also, someone who is in it for the right reasons and has an incredible work ethic. “Able to throw themselves in front of the bus if something goes wrong”. Flays stated that a problem that the panel of investors had with a lot of the contestants on the show was “a lot of people with little or no restaurant experience were not keen on listening to the investors’ advice”. He said this is understandable because it’s their idea, and they don’t want to change their idea. 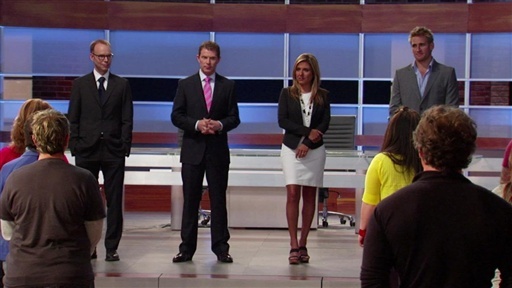 The conclusion of “America’s Next Great Restaurant” will air this Sunday night May 1st on NBC. All three of the winner’s restaurants one located in each of the following cities: Los Angeles, New York, and Minneapolis (inside Mall of America) will be open for business the very next day, Monday, May 2. Flay says that staff will be in place, but it’s an ongoing process. The fact that the winner will have to manage three restaurants will be a huge task and “I’m sure no one else has done” stated Flay. He also suspects that the potential will be there to grow the restaurant into 30 to 300 more! Although Flay would not state how much of the investment he and co-investors are putting-into the winning restaurant chain. He said that the winner’s cut will be “substantial” and they will get a salary. The investors will also be there to help the winner with such things as menus and management. According to Flay, some of the most important ingredients in creating a successful restaurant are value, energy, and environment. “Casual restaurants need to have a very terrific sense of energy. So, people think of it not as just a meal, but as an event,” said Flay.